When it comes to location-based Cape Cod residential storage for your moving, organizational or other purposeful needs, there’s no better solution than portable storage containers. Whether you are working to plan a move in Southeastern Massachusetts, or if you just want to work with moving companies near Falmouth, MA to provide you with quality storage solutions, Plymouth Rock Moving & Storage has the options you need to achieve your goals. There are quite a few benefits to working with mobile storage solutions as opposed to other types of storage options. While we do offer traditional warehouse storage for residential and commercial clients, the use of portable storage containers has grown by leaps and bounds for many reasons. Some of the reasons why our Cape Cod residential storage might be right for you are listed below. Of course, each situation will be different, but you will find that mobile solutions are extremely flexible. Some of our clients use portable storage containers to protect their belongings during a remodel or renovation. You can keep our mobile containers on-site in your driveway, on the street in front of your house, or on any approved level surface. You put on the lock and you have the only key, so you can access your Cape Cod residential storage whenever you like. This helps in multi-room renovations so furniture and other important belongings can be shifted in and out of portable storage containers to help protect it as work is being done throughout the home. As we mentioned, you can keep your portable storage containers on-site at your home or other residential property for temporary Cape Cod residential storage or you can have our team move the storage container to another location. 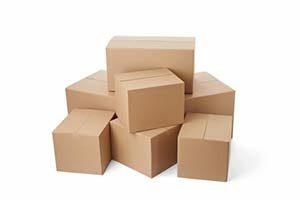 This makes mobile storage great when you plan a move in Southeastern Massachusetts, as we can simply transport the packed container to your new destination for simple and easy moving solutions. We can also transport the container to our warehouse and store it for you until you are ready for us to return it to you. Another great benefit of using portable storage containers when you plan a move in Southeastern Massachusetts or just need our Cape Cod residential storage for other reasons is that it is a very simple and straightforward means of storing your things. Other moving companies near Falmouth require their team to load and move your things into storage, but with mobile storage, you load your belongings directly into the portable storage containers directly. This advantage can help to cut the process time in half and allows you to work at your leisure according to your schedule. Whether you decide to keep your portable storage containers on-site at your home or place of business or if you want our moving companies near Falmouth to keep it in our warehouse Cape Cod residential storage facility, your storage is secure. Our containers are made from high-quality construction to keep your belongings safeguarded in all types of weather conditions and to keep unauthorized persons out of your storage. Self-storage facilities are severe security challenged due to the nature and setup of the storage with so many people coming in and out of the property and having full access to storage areas. When it comes time to choose the type of Cape Cod residential storage solutions that you will use, you have two primary choices for portable storage containers at Plymouth Rock Moving & Storage. First, we have our United Mayflower Container Services, which provide large container storage units that are available for use within our 100-mile delivery services area. The second option is available through our association with Go Mini’s storage, which provides residential storage options that are easy to use and easy to load. Our team will assess your moving and storage needs and then provide you with an accurate estimate of our services. Whether your goal is to plan a move in Southeastern Massachusetts, or if you just need a temporary storage solution, Plymouth Rock Moving & Storage has the services and equipment you need to get the job done. Call our team today at 1-800-340-0995 for a FREE estimate on any of our services for Cape Cod residential storage and commercial storage solutions, as well as moving services right here in the SouthCoast area or anywhere around the globe.